The new archbishop of Cotabato in southern Philippines was installed Wednesday under heightened security, just days after twin explosions rocked Jolo cathedral. Churchgoers had to go through tight security put up around the Immaculate Conception Cathedral to welcome Archbishop Angelito Lampon as their new shepherd. A number of policemen and soldiers have been deployed in the area and its perimeter to make sure it is safe from any threats. Some of the visitors were around 25 bishops from different dioceses including Papal nuncio Archbishop Gabriele Caccia and Archbishop Romulo Valles of Davao, president of the Catholic Bishops’ Conference of the Philippines. Lampon replaced retired Cardinal Orlando Quevedo who served the archdiocese for two decades. 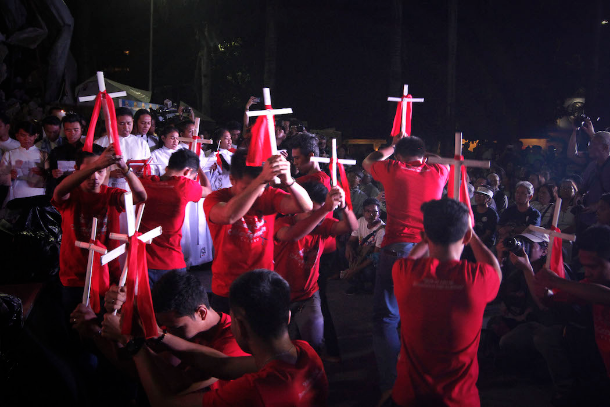 In his homily, the first cardinal of Mindanao, which has endured one of the world’s longest-running Muslim insurgencies, said that one must be “spirit-filled and spirit-driven” to be an effective bishop. “No more, no less,” Quevedo said. “Only when he is in communion with the Holy Spirit, only when the Spirit dwells in him, will he be a prophet with courage, without fear, in season and out of season,” he said. In a region marred by tension and insecurity, he said that a shepherd must bring hope to people “who look for light in a cultural darkness and mutual biases and prejudices”. “He must lead his flock and those who are not of his flock to peace and harmony,” the cardinal added. In his message, the papal nuncio conveyed Pope Francis’ spiritual closeness and support for Lampon and his new pastoral ministry. “You are not alone. We are with you, all of us,” Caccia said. At one point of his speech, he also thanked Quevedo for his great service to the universal Church. “He (Quevedo) has been very much appreciated by the Holy Father and the other cardinals all over the world,” added Caccia. 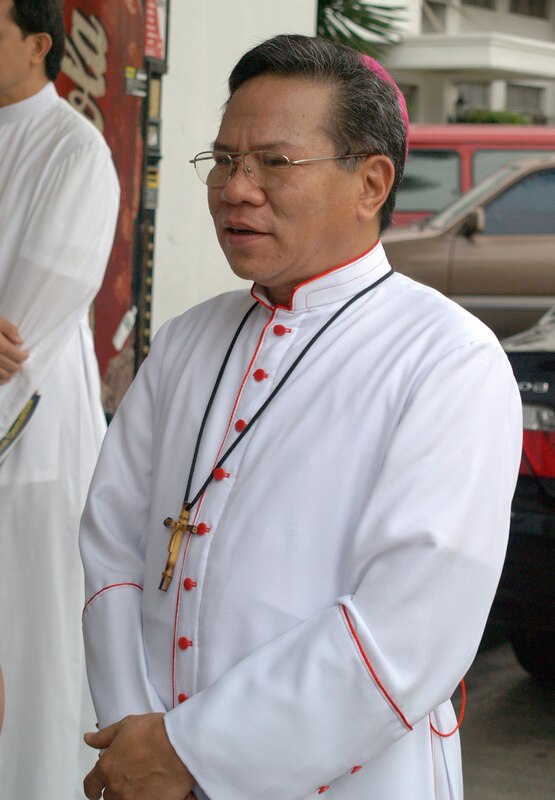 Lampon was the apostolic vicar of Jolo since 1997 until November 2018 when Pope Francis appointed him as Cotabato archbishop. Last Sunday, at least 21 people were killed and injured dozens more when two bombs exploded at the Jolo cathedral where a mass was being held. Both Quevedo, who once served as parish priest of Jolo cathedral, and Lampon deplored the incident as being the “action of evil people with utter disregard for the sacredness of human life”.